Ms. Martinez advises clients on employment and labor law matters. She has counseled the Human Resources Department of a major multi-national corporation on employee discipline, hiring, termination, accommodation, and other employee issues. Her experience includes drafting the corporation’s Employee Handbook, and developing and presenting company- wide training on the Employee Handbook. Ms. Martinez has negotiated collective bargaining agreements and advised on union avoidance, discipline and termination of unionized employees. She has drafted and negotiated sales, independent contractor, programming, master services, and software licensing agreements, prepared company policies, drafted form agreements for sourcing and procurement, and advised on a variety of related legal issues, including advertising law. Ms. Martinez has also presented training on Code of Ethics and employment, copyright and media law; managed litigation on contract interpretation, employment and defamation matters; and supervised the establishment and organization of a company’s subsidiaries in Latin America. Ms. Martinez serves as Of Counsel to HMS Everett PLLC (the Firm). She began practicing law at Morrison and Foerster in Los Angeles, California before joining the legal department at Univision Communications Inc. Ms. Martinez was most recently Senior Vice President and Associate General Counsel at Univision, headed its Legal Department’s Los Angeles office, managing a team of three attorneys and two paralegals, and supervised Univision’s intellectual property and immigration practices. She also served as Chair of the Board of Directors of, and as head lawyer for, the Univision Communications Inc. Political Action Committee. 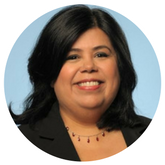 Ms. Martinez currently serves as a Consultant to Univision. There is no affiliation between the Firm and Univision.